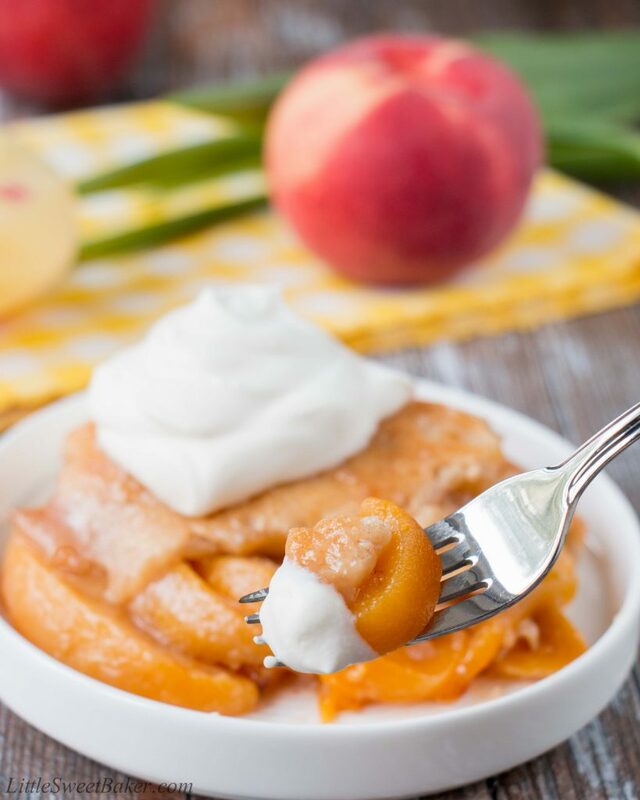 This heavenly peach cobbler consists of juicy flavorful peaches baked underneath a soft and fluffy cake topping. 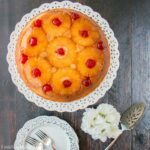 You can enjoy this made-from-scratch recipe all year round by using fresh, canned or even frozen peaches! 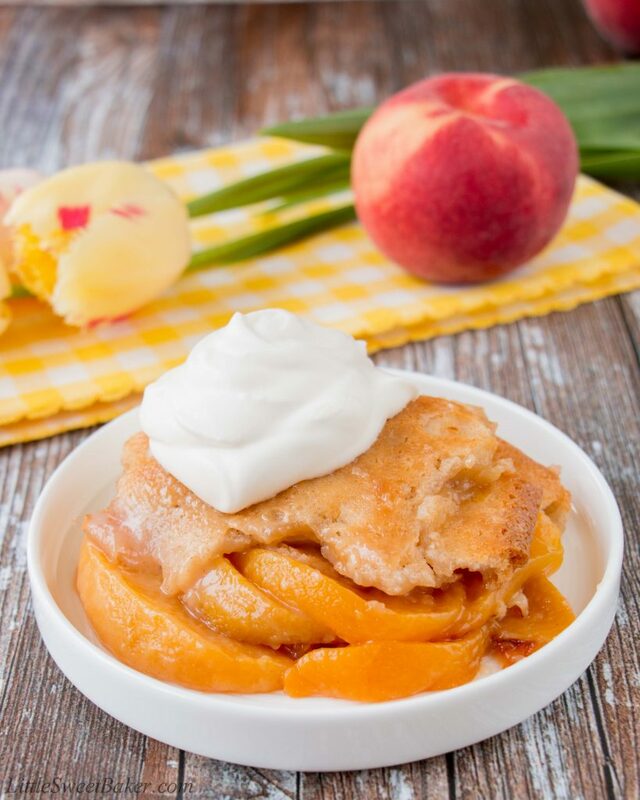 This easy peach cobbler is a modification of this classic recipe from Southern Living. I reduced the amount of butter because I found it too greasy the first time I made it. I added some vanilla and cinnamon to the cake for more flavor. I didn’t bother cooking my peaches because they were already ripe and sweet enough. I also poured the batter on top of the peaches instead of the other way around because the first time I made the recipe I followed the instructions as is, and found with the peaches on top it made the cake soggy. This humble dessert couldn’t be any easier to make. You simply pour some melted butter into a baking pan, layer a ton of peaches on top of the butter, then pour a thin cake batter over the peaches, and into the oven it goes. 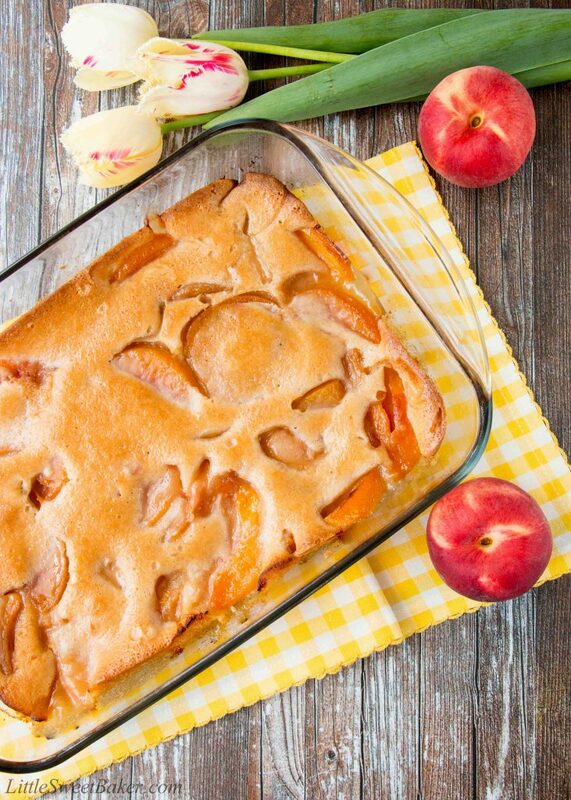 Bake for an hour and you have a golden bubbly and delicious peach cobbler ready to be served! 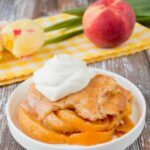 This heavenly peach cobbler consists of juicy flavorful peaches baked underneath a soft and fluffy cake topping. Pour the melted butter into a 9×13″ baking dish. Spoon the peaches evenly over the butter. Do not mix. 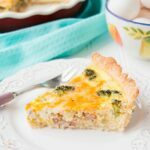 In a medium bowl, toss together the flour, sugar, baking powder, cinnamon and salt. Whisk in the milk and vanilla. Pour evenly over peaches. Bake for about 1 hour or until to top is nicely golden. *If using fresh peaches, simple peel and slice. If using canned peaches, drain well. If using frozen peaches, thaw to room temperature and drain well.